Tough Toys for Tough Dogs! 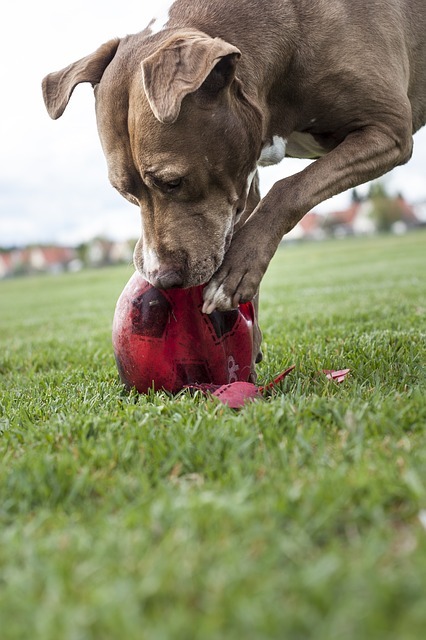 If you own a highly active dog or a large-to-giant dog who loves to play ROUGH … finding a toy that can last more than 10 minutes can often be the ultimate challenge! But that challenge may now be won according to a recent “Gear of the Year” review in The Whole Dog Journal (January 2016 issue). Believe me, when a dog toy can keep on squeaking (even when punctured, gasp!) and your living room doesn’t look like an avalanche disaster zone, THAT toy gets 4 paws up from this Great Dane (x 2) owner! 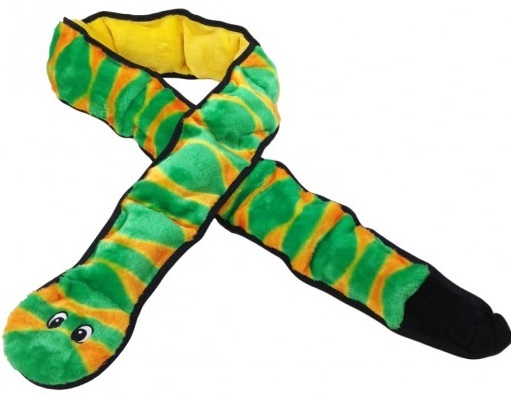 The Invincibles Snake, made by Outward Hound, is created out of super-tough, double-layered fabric with a special inner lining (aptly called “Dura-Tuff”) with NO annoying white stuffing and reinforced, double-layered seams which all add up to undeniable strength and durability. In addition, the Snake also features unique squeakers that make one sound when depressed and a different sound when released. And did we mention they keep on squeaking even when punctured?! So, get ready all you tough chewers, tuggers and just big ol’ beasts, this reptile can take a licking and keep on squeakin’! To learn more about the Invincibles Snake and order your very own – with either 3 or 6 squeakers – click here to go to the Outward Hound website and tell ’em Moose and Bella sent ya! Want to subscribe to The Whole Dog Journal? Click here.